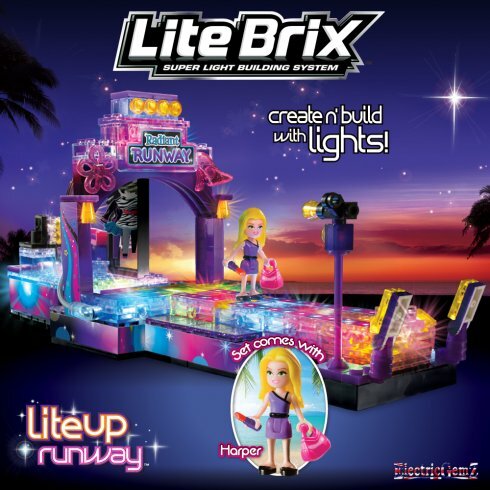 Lite Brix Lite-Up Runway Model Kit. Build it, light it up - and produce your own magical fashion show with lights! Suitable for ages 6+. 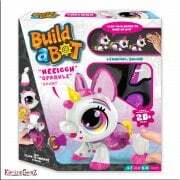 Build it, light it up - and produce your own magical fashion show with lights! 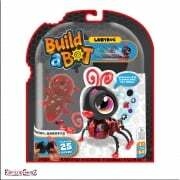 Suitable for ages 6+, Lite Brix Girls are a group of young, smart, and creative girls who will run the world someday soon. For now, Ava with her spontaneous personality, has created a LiteUp Girls World in Sunset Island where all her friends; Harper, Kaylee, Madison, Briella and Sophia share and explore. Create a fashion show of lights! Harper, the fashion stylist of the group, always makes sure that her friends look their best. The girls are practising backstage in the dressing room and preparing for their big moment in the spotlight! Then walk through the archway and LiteUp the radiant runway as they parade up and down in front of the cameras - and Harper is included too! The building system includes special connector pieces to attach the Lite Brix to each other so you can build the model on different angles, and translucent pieces that glow with colour from the LEDs. 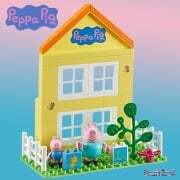 Create more fun by combining this set with other Lite Brix sets - or add bricks from other compatible building sets, including Lego®, K'Nex® and Character Building®, which attach to all Lite Brix. Here's what's in the 28cm x 26cm x 5cm box: 8 Lite Brix, 15 special shaped parts, 6 connectors, 170 brick blocks, Harper model, 1 mini battery power pack, decal sheet and instructions. 3 x AA batteries are required, which are not included. The full range for both boys and girls is available from ElectricGemZ. Search in the box above for Lite Brix.